A majority of the emerging individuals dreams of a own home but it’s quite a difficult task to have enough money to buy a home independently due to skyrocketing prices in real estate business. The most obvious way in such a situation is to apply for a home loan. The huge demand for home loans results that most of the banks and NBFC’s provide home loan options that not only covers up to 80% of the property value but also offers you the tax benefits. ShubhBank being the digital lending platform offers “A Hassle Free Home Loan” for the customers to enable them to acquire their dream house at attractive interest rates and with best features. You can also enjoy the benefits of interest savings available for faster repayment and withdrawal. There are some key aspects for every salaried and self-employed individual to get approval of home loan. Your regular income is one of the most important criteria for the approval of home loan application. Higher your monthly income, higher will be the chances of approval. Then we judge your creditworthiness through your credit history. A bad/low credit score may increase the risk of rejection and reduce the chance of securing home loan. Our bank covers only 70-80% of the property value; therefore you will need to make saving arrangements for the remaining loan amount and the processing charges levied by us. We also allow a change in your home loan’s interest rates, you can choose between the fixed and floating rates of interest. It’s mandatory to submit certain property related documents like property development plan copy, registration certificate, NOC from bank is required if there is an outstanding loan etc. 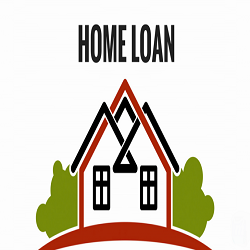 home loans are of broad category, so the offering are for the different according to the needs of the customer. This can be used for buying a new home, land purchase, construction of house, to renovate or making repairs to your current house, for adding more space to your home etc. The applicant needs to satisfy the eligibility criteria based on common factors like age, income, and work experience and credit history. It is best option to check your eligibility before applying to avoid any rejection. The home loan application needs to be submitted along some other documents either you applying it online or offline. A generic list of such documents includes ID proof, residence proof, audited balance sheet, salary slip, income tax returns, recent passport sized photographs, certified property papers etc. The search for best home loan is always time-taking and exhausting job but ShubhBank is there to rescue you and providing a helping hand to choose best option as per your requirement. We give you the opportunity to compare between home loan options against different parameters and choose the one which suits you the best. So purchasing your dream home is just a click away. Visit us or apply online to enjoy a ride of best offering and hassle free home loan at ShubhBank.